Weight: 5.29 oz. 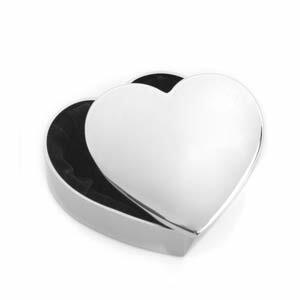 / 150 g.
This heart-shaped box can be used to hold jewelry or gifts. Customize the removable top with an engraved message, symbol or monogram. Up to 5 lines of 18 characters each, including spaces!